The series of successes of recent years continued in 2019 when Hungarian business service centres were successful at the Central Eastern European Business Services Summit & Awards in Warsaw. 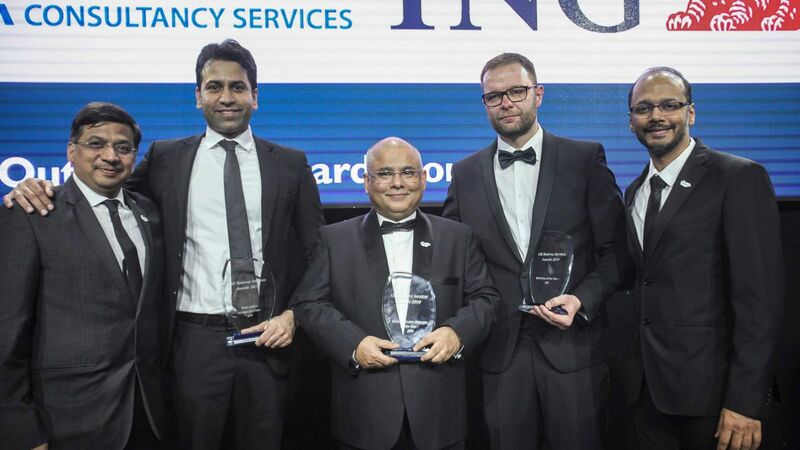 At the regional event, now the Hungarian centre of Tata Consultancy Services (TCS) was awarded prizes in three categories while Morgan Stanley in one. Organised for the seventh time in 2019, Central Eastern European Business Services Summit & Awards is one of the most important regional events for the BSC (business services centres) sector in Central and Eastern Europe. Our region is considered now a world-class service sector location, continuously expanding both with regard to the number of employees and to the complexity of the service activities provided. At the same time, new investors keep on considering the region and certain of its cities. At the event of this year, Tata Consultancy Services (TCS) was awarded the first prize as many as in three categories. TCS Hungary got the first place in the category "BPO company of the year" and in specific service provision in the Central and Eastern European region. Furthermore, Prabal Datta, Manager of TCS Hungary was awarded the title "business service centre manager of the year". The title "business service centre of the year" was awarded to Morgan Stanley in the category of Hungarian companies. BSC companies have a significant role in the Hungarian economic and investment environment. The almost 110 business service centres operating in Hungary employ now more than 50,000 people, thus being one of the most important actors in Hungarian economy. First business service companies arrived at Hungary at the beginning of the 1990s, first to provide standardised financial, IT, customer service and HR processes. However, now they mainly operate complex processes of high added value.